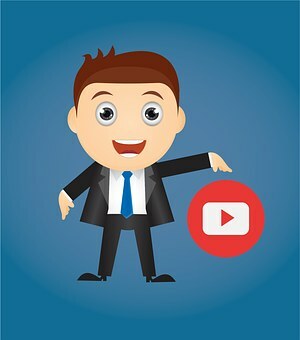 What are the main ways to Maximize Your YouTube Marketing Results? => First you can start off by improving your profile, and make sure you have a nice and relevant channel art design. => Also keep it personal. People like it when a Youtuber is personal (Like pewdiepie personal jokes to his community.) People will start to subscribe to your channel and you will later grow because Youtube will start to feature you like (LeafyIsHere) Also what is your youtube channel name? You might want to start posting your youtube/facebook page/twitter account everywhere. => Then also I would recommend researching and reading at least 20 articles on "youtube seo" so you have an unfair advantage on the competition in your niche. => You can start by learning more about proper length for video descriptions, video keywords, relevant online communities to share videos, use call to action at the end of videos, and creating keyword rich playlists. One thing for sure is once you finish studying that many articles on this topic and implementing what you learn and seeing what works, you will be capable of creating an ebook for the thousands of other people looking for a solution to this problem also every week. Besides for security you NEED 2 step verification on your account for your youtube channel and use different passwords for your twitter and youtube account. Facebook shouldn't matter. If you have any questions or concerns please drop them below thanks.